Jack races at Teesside Autodrome every month and regularly gets on the podium. Racing is only possible with sponsors like Gregg Little. 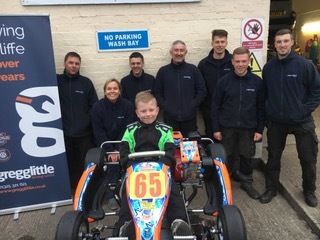 Everyone at GLTC wishes Jack the very best in his next race at Teesside Autodrome on 25th March for the Teesside Pro-kart and Cadet Sprint Championship. For those wishing to follow or get involved with Jack on his adventures check out jtracing on Facebook.